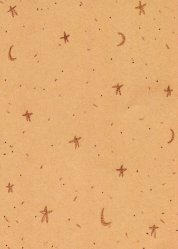 Click on a picture to see the fullsized version. 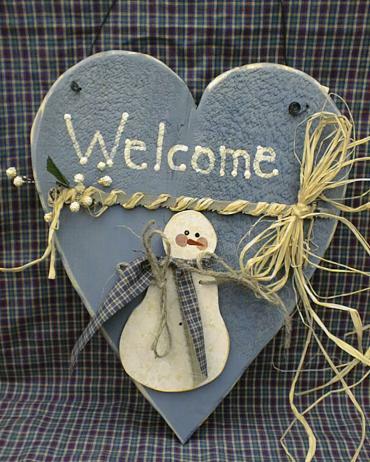 The folk art heart is made of wood, painted country blue, red or green. The heart comes with a basic four seasons: snowman, bunny face, flag, and pumpkin. 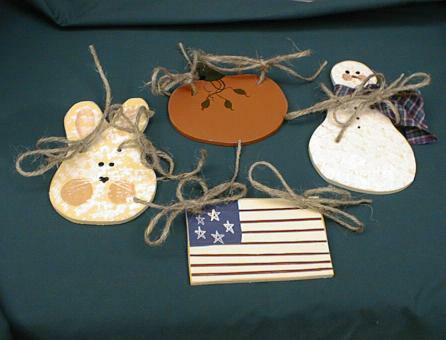 Additional pieces can be ordered from the other seasonal sets for $2.00 each. The heart has a wire at the top for hanging and is 14" tall. Decorative accents on the hearts may vary but the overall look will be the same. Cost for set $24.00 plus $5.50 for shipping and insurance. The folk art bunny is made of wood, painted ivory and wired together so that the bunny can sit on a counter or be hung. He is 21 1/2 " tall and comes with 7 pieces that can be easily changed with the season. The set includes the bunny, three hearts, shamrock, carrots, watermelon, flag, pumpkin, and wreath. Cost for set $30.00 plus shipping. 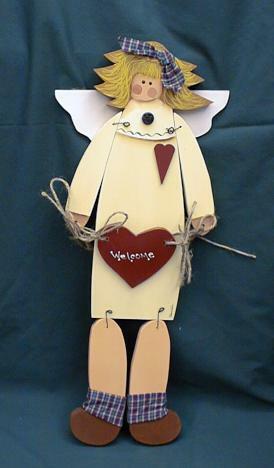 The folk art angel is made of wood, painted ivory and decorated with old buttons and rag ribbons. She is 21 1/2 inches tall and comes with 8 pieces that can be easily changed with the season. 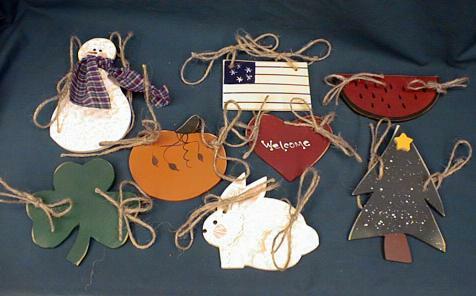 The set includes the angel, a snowman, welcome heart, shamrock, bunny, watermelon, flag, pumpkin, and pine tree. Cost for set is $30.00 plus shipping. For those of you who don't want to spend the time changing decorations or need a filler between seasons. It is made of wood, wire that will rust with age, and raffia. The sign measures 22" long by 4" wide and features a heart, shamrock, bunny, flag, watermelon, pumpkin, turkey, and Santa. Cost for the Happy Everything sign is $20.00 plus $5.50 for shipping and insurance.